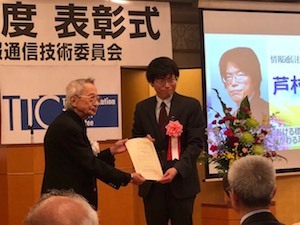 Today June 19th, 2018, Kazuyuki Ashimura, W3C staff contact for WoT and Media and Entertainment was presented by the President of TTC the award for Information Communication Technology in Shiba, Tokyo, Japan, recognizing contributions and promotion of Web standardization in Japan. A W3C team contact since 2005, Kaz has dedicated standardization work in W3C groups for various technical themes, promoting the viewpoint of “global standardization” and bringing Japan’s efforts to global discussions, championing issues for consideration at W3C, and contributing greatly to standardization deliberations. Read more about recent work at W3C in Media & Entertainment, Web of Things (and more). Follow the Magento Staff list on Twitter!